This simple and flavorful Piña Colada Cream Cheese Frosting recipe has all of the flavor that you love in a cream cheese frosting, with the addition of rum and coconut flavorings. 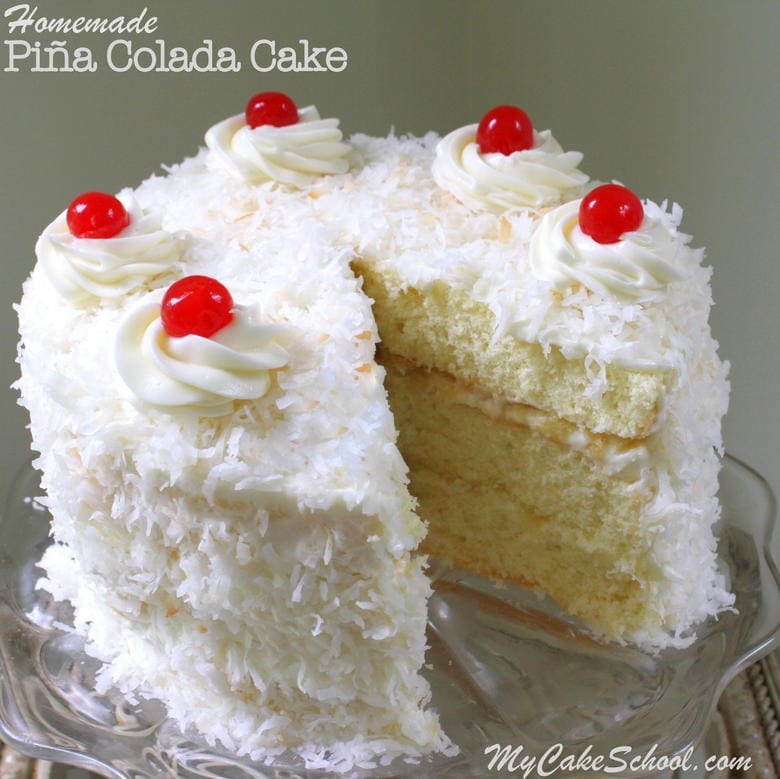 We absolutely love this recipe with our Piña Colada Cake. Altogether, every bite is an amazing flavor combination of coconut, pineapple, and a hint of rum. It’s the perfect party dessert! You will love the silky smooth consistency of this Piña Colada cream cheese frosting, and it couldn’t be simpler to make! As with most cream cheese frostings, the consistency is a bit on the softer side. If you find that the frosting becomes too soft to pipe with, simply chill in the refrigerator for 10 minutes (or in the freezer for 5) to firm it up a bit. Add the butter to the mixing bowl and beat until smooth. 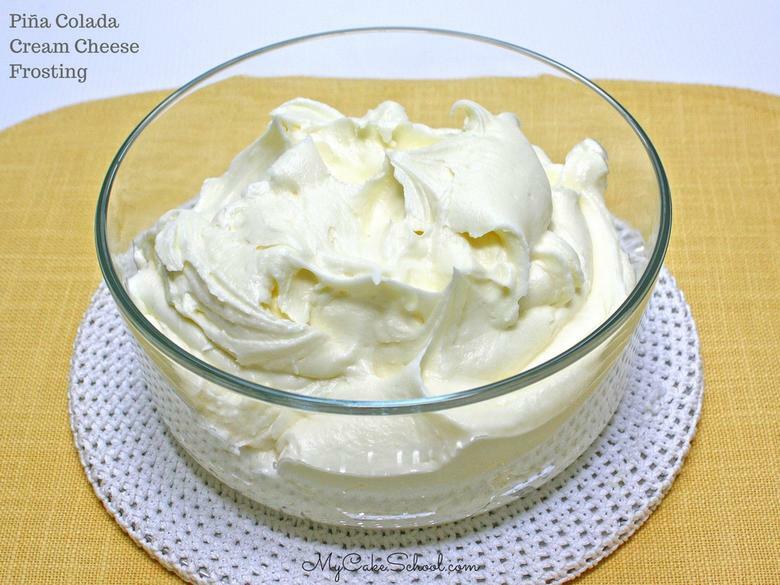 Add the cream cheese that has been cut into small to medium size pieces, beating with the butter until well blended and smooth. Add the rum and coconut extracts. Slowly add the powdered sugar, beating until smooth. Do not beat above medium speed or for too long. The longer you beat the softer the frosting becomes. If it becomes too soft to pipe, just refrigerate for a short while. Use the frosting while it is still chilled. If it becomes too soft, refrigerate until it firms up a bit or put in the freezer for 5 minutes or so to return to a good piping consistency. Don’t miss our recipe for Piña Colada Cake! If you’re looking for more fabulous cake and frosting recipes, scroll through our full collection of Recipes from our Recipes Section! For fun, free Cake Tutorials, check out our Free Tutorials Section!